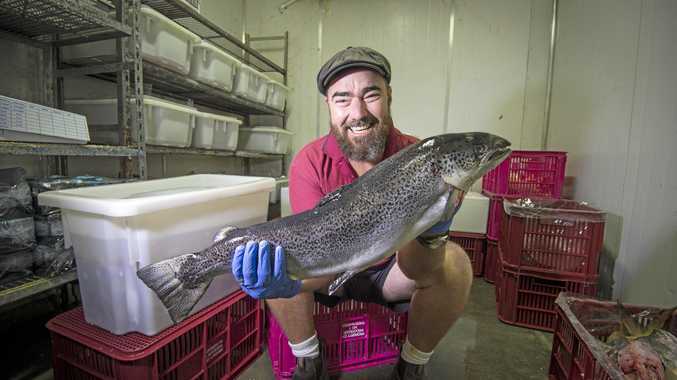 IT WAS always going to be contentious, but the vile social media storm dividing the Tweed community since the announcement of the new hospital site at Cudgen has reached new lows. 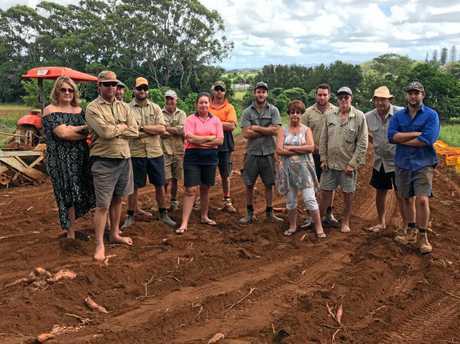 Earlier this week, it was confirmed police had been contacted to investigate complaints of cyber hacking against the family of farmer's wife Hayley Paddon, who heads the Relocate protest group against the hospital being built on farmland at Cudgen. 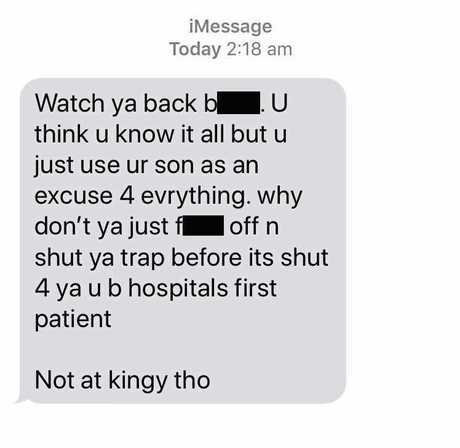 But she is not the first to be targeted, with Pottsville identity Penny Hockings, who heads the Support our Hospital Facebook group, receiving threats earlier this year. And now, the latest complaint comes from long-time Tweed farmer Col Brooks who dared to put forward a proposal to establish a rooftop garden on top of the new hospital. 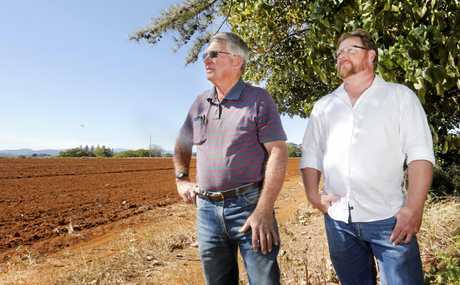 Mr Brooks, who is president of the Combined Tweed Rural Industries Association, said he had received intense backlash from those against the Cudgen site after he shared an idea about a rooftop farm on top of the new hospital in the Tweed Daily News last week. "We put an idea out there for discussion and that's all it was, and we copped this terrible verbal abuse in some of the posts online," he said. 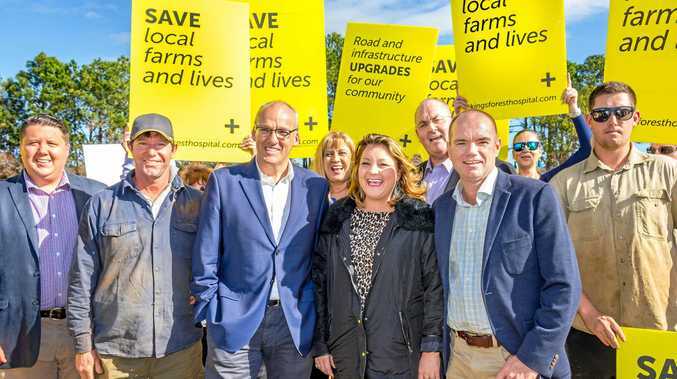 "It was attacks on my integrity and also an attack on the integrity of the association, which over the years has done an awful lot for farmers in this district. "There were comments which said we're only a front for a developer, that I'm related to developers I've never heard of, you spend a lot of time over the years developing your integrity and acting in the best interests of the people you represent, and then to have these people making accusations against you, they're just blatant lies." Mr Brooks said he had been working with the industries association since 1983 and never received such a reaction. "This was an idea for the hospital no matter where it went, but because it was on the red soil of Cudgen, everyone started jumping up and down," he said. Mrs Paddon, who was one of the first to speak out against the hospital site , said the heated debate had caused a rift amongst her friends and family. "Someone who I thought was a close friend and some distant relatives, I'll probably never speak to again, and I think everyone has someone like that," she said. "Whether it's a family member or they've lost friendships they never thought they'd lose, the impact has been unbelievable." Hayley Paddon (left) says she has lost friends and family over the Tweed Valley Hospital debate. Mrs Paddon said the use of social media to post personal information during arguments had been the most hurtful. "I think the comments about the petition that was done in 2008 was what hurt the most, we had one representative on the actual petition but were seen as a whole family that signed it," she said. "To see your father-in-law's signature, all the addresses, names, I think that's been the biggest slap in the face. "That's personal and should never have been put out there, every time that gets put up I just get angry. I just think that's mean, that's dirty rotten mean, that's on the internet for life." Last week, Mrs Paddon said she was working with police after she was targeted by cyber-criminals who were creating fake social media accounts using her personal information and photos before sending links of pornographic sites to her family and friends, including her 16-year-old daughter. Pottsville resident Penny Hockings, who first voiced her support for the hospital site on ABC radio before creating the Facebook group "Support our Hospital", says damaging allegations about her on social media had been "constant". The worst included an anonymous threat via text message. Ms Hockings was sent this threatening text message after showing support for the new Tweed Valley Hospital site. 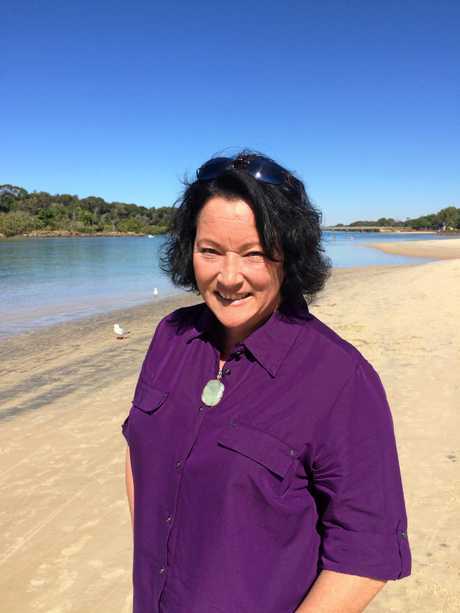 "There's been a lot of people who don't know me making a lot of allegations about my political alliances, which I don't have, that I'm Geoff Provest's friend, that I'm mates with developers, it's just factually incorrect information," Ms Hockings said. "There's a lot of people who take what they see on social media as true and don't fact check. "They see it's on Facebook and think it must be true, there are places to get facts and social media is not it." Ms Hockings said her name was constantly brought up on Facebook posts relating to the hospital, even when the subject had nothing to do with her. "They're discrediting anyone and anything that looks like support for the hospital, claiming their information is factual and that anything else is fake news," she said. "You have to give yourself breathing space because when it's a constant attack on you by people who don't know you or your values, it does get to you, it has gotten to me because it has gotten so personal with people who don't know me." Even Tweed MP Geoff Provest has commented on the "nastiness" of the debate online. "You just have to get on any of those social media sites and some of the comments are very inappropriate," he said.